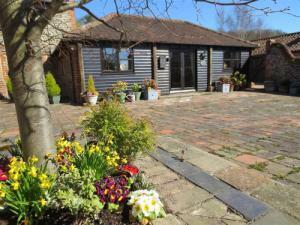 Dairy Cottage01263 715779work01603 870304fax Self-cateringThis interesting, 400 year old barn conversion offers a perfect get-away for couples in the peaceful surroundings of the north Norfolk countryside. Just two miles from the coast at Cromer, and with easy access to seaside and countryside walks, guests can also relax in the sunny courtyard of this stylish property. This interesting, 400 year old barn conversion offers a perfect get-away for couples in the peaceful surroundings of the north Norfolk countryside. Just two miles from the coast at Cromer, and with easy access to seaside and countryside walks, guests can also relax in the sunny courtyard of this stylish property.